For those of you that got here through the big red button - if you are still looking for the magic button that makes instant millions "IT DOES NOT EXIST" but you are more than welcome to go back to "The instant millions magic button" and drive yourself just a little more insane trying the same thing over and over and getting the same result. For the rest of you - No matter how you got here the important thing is that you are here - and I am here to help. I bet you are wondering why you should listen to a guy who tricked you with a big red magic make money button. Well there are many people out there promoting easy money schemes on the internet someone had to make "the button"
I was one of the most sceptical guys out there being inendated with emails and websites advertising the instant riches. So much so that when a real life internet marketer walked into my office one day to say hi - I almost threw him out. Going against my better judgment I spent some time with this guy, he taught me that there is money to made on the internet. It does however take work and time - but it is there for the taking - and it is far less work than the alternatives. Following his guidlines and developing some applications of my own I was able to generate a SIX FIGURE income within 6 months of working with him. HOLY $&@! - this was literaly the most money I have ever made in a year and I was building a huge business for my self. Over the next year I worked together with this marketing specialist and developed some SERIOUSLY powerfull tools to help other fledgling marketers get into the business. Our products and tools can help YOU increase your earnings, productivity through automation and professional applications that build a profit generating arsenal. 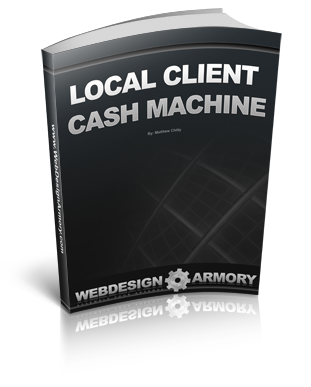 Find out how I quit my day job after making ONLY two sales - using this system you can learn how to build a extremely profitable business using local resources and reseller services. If your primary goal right now is to quit your job - understand that it will be infinitely easier to generate brainless results for local businesses (with little to no competition) while getting paid several thousand dollars to do so - as opposed to trying to start out in "dog eat dog" mainstream markets. The Second major aspect of the Armory is the web application and site frameworks that are used to develop sites for clients and personal use. There are two core frameworks that are used to increase profitability and effeciency in the web development/design world. 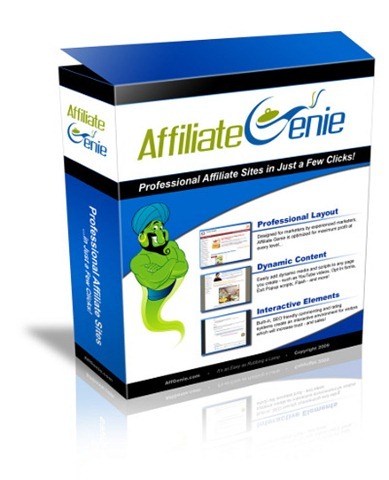 From the award winning marketer Chris Rempel and the founder of Web Design Armory comes the top selling Affiliate website in a box - Affiliate Genie. Don't be the only marketer out there not using the latest and most powerfull tools to market your sales sites. Order now to join the thousands of marketers that are deploying high converting affiliate sales sites in a matter of minutes.